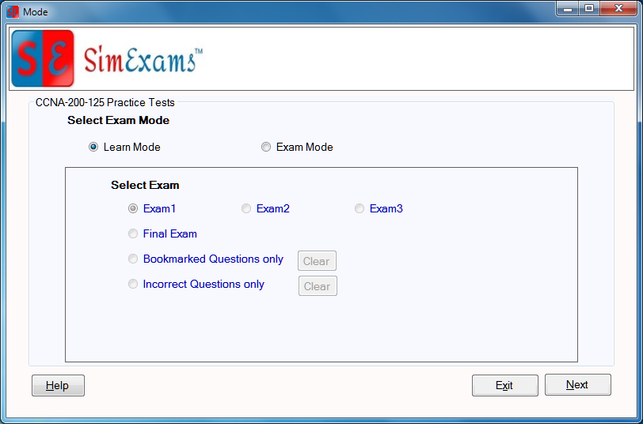 This feature allows instructor to select specific categories (topics) for a exam. 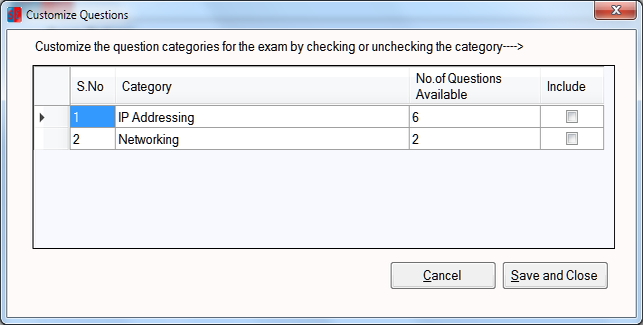 All the questions in the exam will appear only from selected categories. This feature is useful when candidate is studying/testing his knowledge one topic at a time. This feature can be used only in learn mode. To use this feature select "Learn Mode" in the Mode screen and click on Next. The next screen shown is Settings (figure below). In this screen select "Customize Questions" under Question Options section. 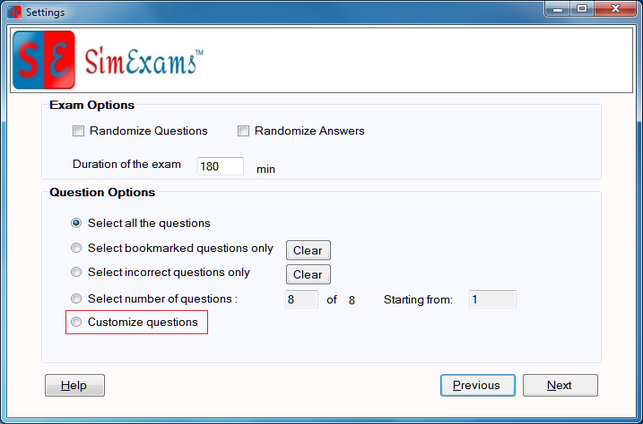 Customize Questions window will list all the Categories present along with number of questions in them. To include the questions from the category in learn mode check the box for that category under "Include". Use Save and Close to save changes made , and cancel to discard the changes.